POAAL’s advertiser directory lists all companies that advertise with POAAL, whether in Postal News, Contractors’ Post or online. 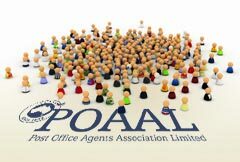 For more information on the advertising options that POAAL offers, contact the POAAL National Office on 03 96544533. 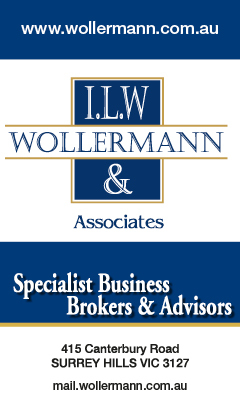 Wollermann’s Damian Burgess (0428 558 590) is a highly experienced business broker and former owner of a number of LPOs. He knows what he is talking about, understands owners and the concerns of buyers, which gives him a huge advantage in achieving successful outcomes in the postal sector Australia wide. Marlow & Co is Australia’s leading LPO business broker. Contact Nino Ruscitti direct on 0409 500 904. Distributors of budget priced cards, wrap etc. Quality stock and personal service to LPOs Australia-wide. Phone or fax for order form and price list. Goldfields Graphics provide an extensive Rubber Stamp manufacturing business as well as plastic engraving through their associated by Mildura Rubber Stamps and Engraving Services. Through Goldfield Graphics Licensees can market rubber stamps and plastic engraved products on a commission basis. We also manufacture engraved plastic numbers for PO Boxes and duplicate key tags in addition to basic but economical name tags. Make It Cheaper is one of Australia’s leading energy comparison services for businesses, dedicated to saving time and money and making your life easier when it comes to energy bills. By working with a panel of energy retailers, Make It Cheaper can remain completely independent and focus wholly on getting you the best outcome according to your interests and energy needs. Let Make It Cheaper investigate your current energy deal. Their energy experts are here to help. Network Insurance Group (GWS Network Insurance brokers) are the leading insurance brokers to the postal sector. Safety for Life Pty Ltd provides professional workplace safety consulting services to support LPOs and Mail Contractors manage their safety program, risk and compliance requirements. Get answers to all your HR questions with the POAAL HR ADVICE HOTLINE and improve your HR with POAAL HR LITE. Member benefits powered by Workforce Guardian. APE Distribution is the largest distributor of passport photo systems in Australia. Their growth and longevity is attributed to their outstanding customer service. Buyers Paradise – your profit source for low cost B2B supplies. National wholesaler of inks and toners, Dynamic Supplies currently services over 150 LPOs nationwide. With a same day or overnight service we can offer a competitive price and expert advice. Phone or email us for a current price list. Military Shop is Australia’s leading supplier of commemorative merchandise for the Centenary of the Great War and Gallipoli 100. With 30 years experience in delivering effective retail packages to small and big businesses, the company is dedicated to making history profitable. Personalised and online service available.